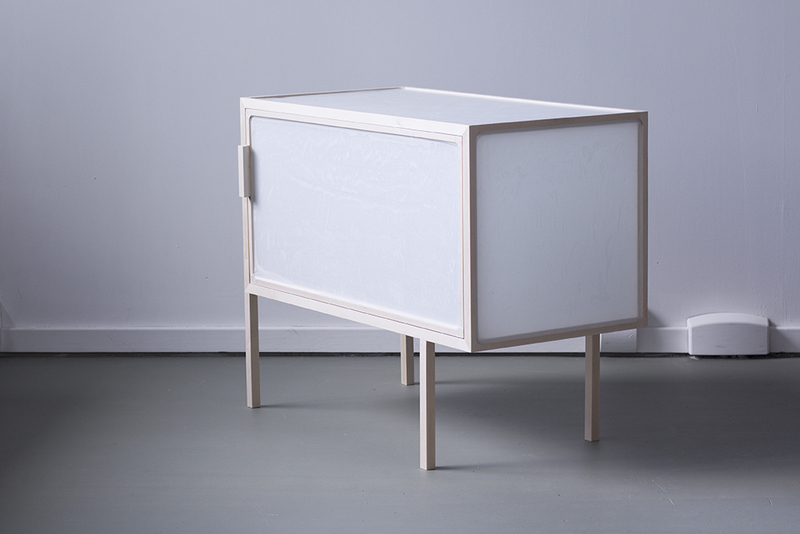 This object has a wooden frame over which different layers of paper are pressed in a vacuum, creating a lightweight and translucent cabinet. 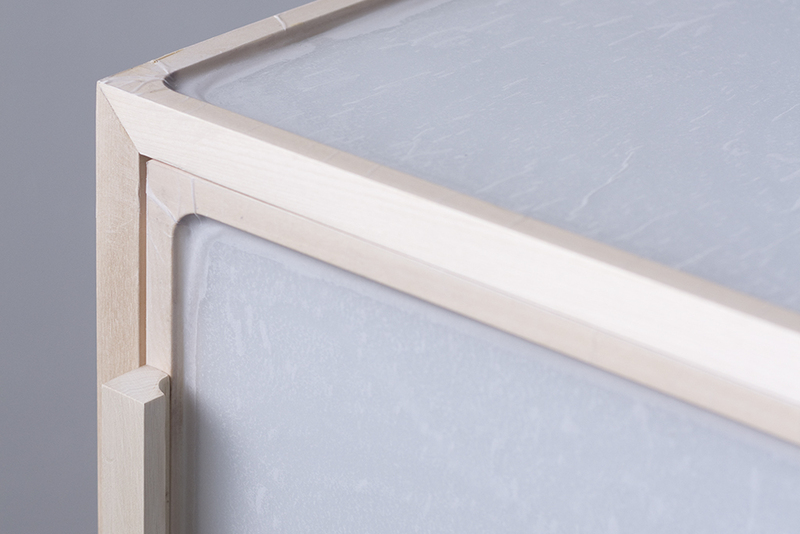 The material tensions that arise remind one of the surface tension of a membrane. 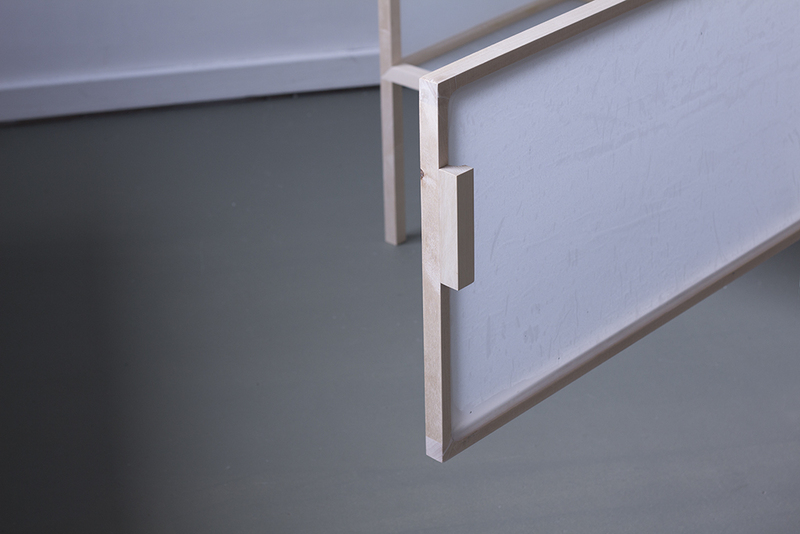 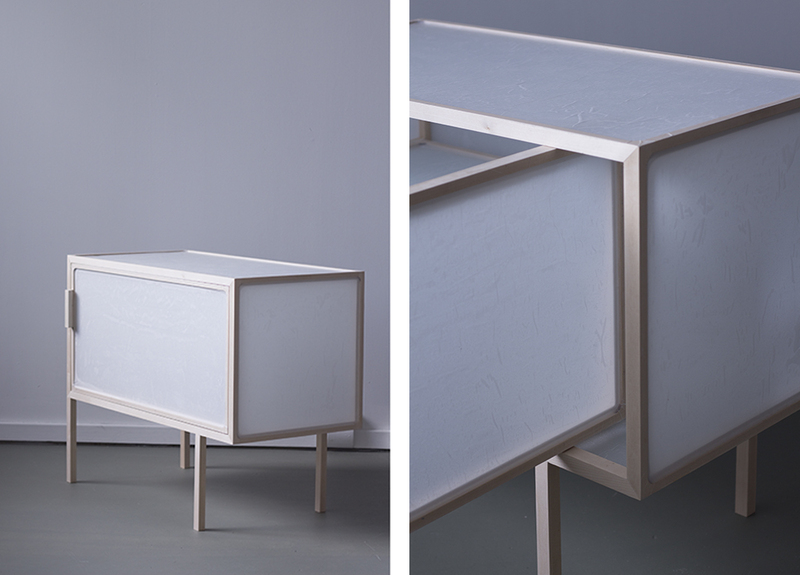 Through this uncontrollable part of the production process, the material of each cabinet gains a unique appearance.